Posted in: Radio Control, Spektrum. Tagged: Featured Products, Miscellaneous, New Releases, RC. 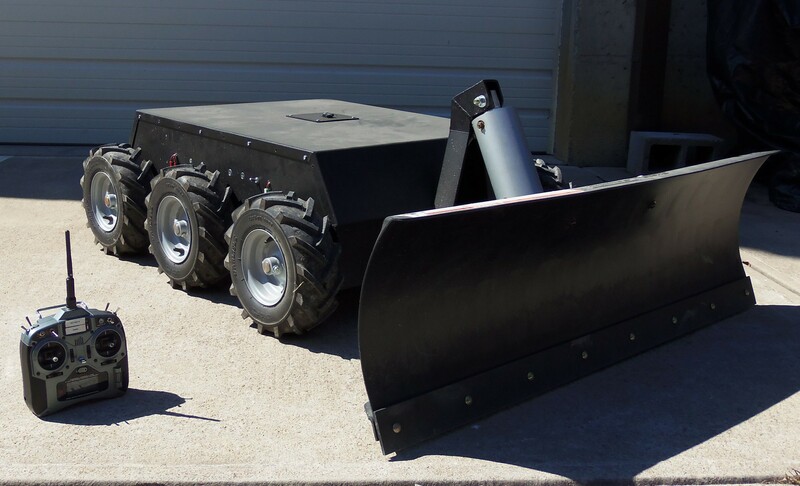 This amazing custom RC creation from SuperDroid Robots, is a 6WD Snow Plow that has a practical real life application. This 393lb RC includes a 52inch pneumatic plough blade, 13″ Tiller Tires, a Custom Aluminum chassis made of 3/16″ thick aluminum and it can run for two hours on two car batteries. All of this is controlled with a Spektrum DSMX DX6i Transmitter and a Spektrum R9020 9-Channel DSMX X-Plus Receiver. If that is not enough for you, It can be customized to include any features that you want. Consider some of the many options available, such as Batteries, cameras and they can even make it with Wi-Fi so you can control it over the internet. Sadly the 6WD Snow Plow which has a base price of $8500 is sold out. However you can pre-order yours now and have it in time for next season. 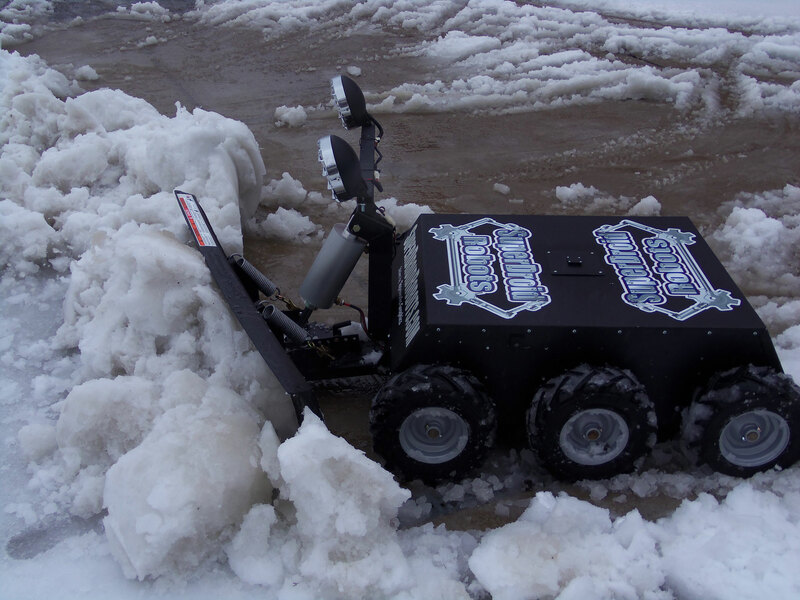 More photos, video and information is available at 6WD Snow Plow: SuperDroid Robots. This is incredible and after all the snow we’ve had this winter, I think the price is more than reasonable. ← Kyosho Ultima RB6 Giveaway.